Irene is the second generation of her family to have worked for Alsco, with her mother Ruby Delandells having spent many years working in the dry fold area when Irene was a child. Ruby was one of many of our staff who will be remembered as someone who took pride in the job she did. From Irene’s early employment at Alsco, the die was cast and she committed herself to making a great career with the company. Alsco identified the makings of a good production forelady and she was trained through all the various job roles. Forever! Well, 29 years to be precise. When I first worked for Alsco in the 1970s, it was a time of full employment in Australia, so finding staff to work manual tasks during this time wasn’t easy. The production manager had difficulty finding staff to fill the gap in the busy Christmas period, so the word went out to find some casual labour to supplement the production. My mum encouraged me to relieve at Alsco over the eight week period. My day starts at 6.45am and I am constantly on the go until 3pm, with all that goes with supervising the daily operation on the production floor. I am responsible for the day to day production output, ensuring there is an uninterrupted supply of linen available for the ironers and making sure the washroom is in sync with the finishing department. I find that I have to be very organised, but the years of production experience I have had with Alsco has really helped me to develop the expertise and know-how required for the job on a day to day basis. I love having everything achieved by the end of the day. It gives me a great sense of satisfaction. There are days when we are short staffed by six or seven people which can make the workload very busy, but we always manage to meet our requirements by the end of the day. Best quality bathroom and bedroom linen is essential for any hotel wanting to ensure the maximum comfort and satisfaction of their guests. 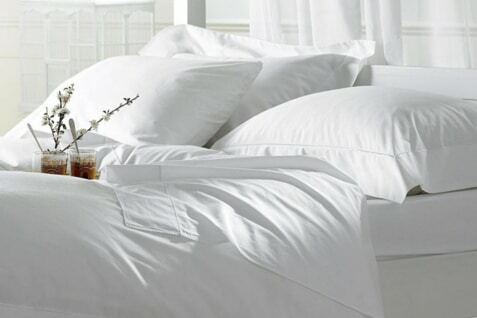 Alsco’s hotel linen service makes providing maximum comfort simple, with plush bathroom linen and high thread count sheets available through a fully managed rental program. Including regular pick-up and delivery, flexible inventory management and requiring no up-front capital outlay, Alsco will custom design a program to suit the individual needs of your business.